Hundreds of schools across the United Kingdom will play a hands-on role analyzing vital ‘space weather’ data sent back to Earth by TechDemoSat-1. Hundreds of schools across the United Kingdom will play a hands-on role analyzing vital ‘space weather’ data sent back to Earth by TechDemoSat-1, a UK-built satellite that started its journey into space overnight. TechDemoSat-1 is equipped with LUCID (Langton Ultimate Cosmic Ray Intensity Detector), a student-designed instrument which will collect information about the types, intensity and direction of cosmic rays that bombard satellites stationed around 635km above Earth, data crucial to ensuring that telecoms and other low-orbit satellites can withstand such radiation and function effectively. Funded by the Science and Technology Facilities Council (STFC) the data from the project will be posted on the CERN@school (http://thelangtonstarcentre.org/) website where students across the country will be able to access it, scrutinize it and input their findings. These findings will then be made available to space experts around the world. Over 200 UK schools are expected to take up this unique opportunity to play a key part in serious science of global importance. LUCID is the brainchild of sixth form students at Simon Langton Grammar School in Canterbury, Kent and has taken seven years to go from original concept to final lift-off. Pupils at the schools taking part in the project will be able to help sift the enormous volume of data produced by LUCID and pinpoint key features, trends and patterns. The aim is to fire them with enthusiasm for science and provide them with a launch pad for future careers in physics, engineering and other disciplines. The project is part of the CERN@school initiative. Supported by STFC and hosted at the Langton, CERN@school aims to assist the teaching of particle physics in the classroom by giving students the opportunity to analyze data from ground-based and space-based detectors. The data obtained from LUCID is of interest to the Space Weather community and NASA. Photo courtesy of Langton Space Center. 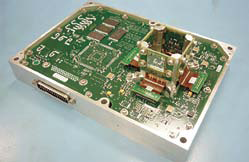 STFC RAL Space provided a novel electronics module to control the Compact Modular Sounder (CMS) instrument in a joint build with researchers from Oxford University. The CMS uses infrared technology to create thermal maps of the surface of a Near Earth Asteroid. This will tell us about the rockiness of its surface, for example, where is a good place to land a robotic spacecraft, and how heating from the Sun and cooling in space can ‘push’ the asteroid around changing its orbit. While orbiting Earth, the mission will also take the opportunity to map surface temperature, including oceans, and the temperature structure of the atmosphere, with the view to compare this data with that from other Earth-observing instruments. Professor Richard Holdaway, STFC’s Director of RAL Space, said, “If the UK is to compete successfully in the global economy, we need a new generation of bright, motivated young scientists to step forward and keep driving research and industry to new heights. Participating in a real-life space mission with clear, comprehensible benefits is the perfect way of highlighting to young people the value, fascination and sense of achievement that a career in science and technology can deliver.” Langton pupils came up with the idea for the LUCID detector following a trip in 2007 to CERN (the European Organization for Nuclear Research, home of the Large Hadron Collider). Having seen Timepix microchips developed there for particle physics, medical and other uses, they had a real ‘eureka!’ moment—realizing that the chips might be adapted to analyze charged particles in the ‘solar wind’ that streams from the Sun and sometimes disrupts satellite operations. After entering the idea into a competition run by Surrey Satellite Technology Limited (SSTL) and the UK Space Agency, they worked with SSTL to develop it further with additional input from scientists worldwide. 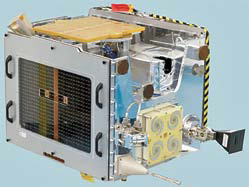 SSTL subsequently selected LUCID for inclusion as a payload on its TechDemoSat-1 satellite. Developed and built with support from the Technology Strategy Board and the South East England Development Agency (SEEDA), the satellite is providing low-cost flight opportunities for innovative commercial and research payloads developed by the UK space sector. The launch of TechDemoSat-1 took place at Baikonur Cosmodrome in Kazakhstan, using a Russian Soyuz-2 rocket. LUCID will now undergo a month of in-flight testing prior to producing ‘live’ data over the course of a mission expected to last three years—a perfect illustration of how technology devised for the world’s largest science experiments at CERN can be adapted to meet a range of real-world needs beyond the realm of particle physics. At the Surrey Satellite Technology Ltd. (SSTL) blog, the company presented a conversation they had with LUCID’s project manager and Year 12 student, Matt Harrison, and the school. SSTL asked Matt, what will LUCID enable us to do? Harrison answered, “Traditional particle detectors (such as Geiger counters) just click when they detect radiation. Using Timepix silicon pixel detectors, LUCID is able to act a bit like a digital camera in that it lets us take a three-dimensional picture of the particles passing through it at any one time. This will allow us to have a very detailed look at the Low Earth Orbit (LEO) environment; to an extent we believe no one has done before. SSTL: Where did the idea for LUCID come from? “Our students decided to enter a competition, the brainchild of SSTL’s Dr. Stuart Eves, to get an experiment sent into space. On a trip to CERN, students visited the laboratories of the Medipix collaboration and it occurred to them that the Timepix detector chips that they had seen there could measure cosmic radiation in a very precise way. SSTL: What have the pupils at Simon Langton Grammar School (and other UK schools) been working on? “Currently the students are gearing up to receive and analyze data from the LUCID payload: running particle simulations on software packages produced by CERN, reading up on the LEO environment, and writing the software to process and interpret the LUCID data. 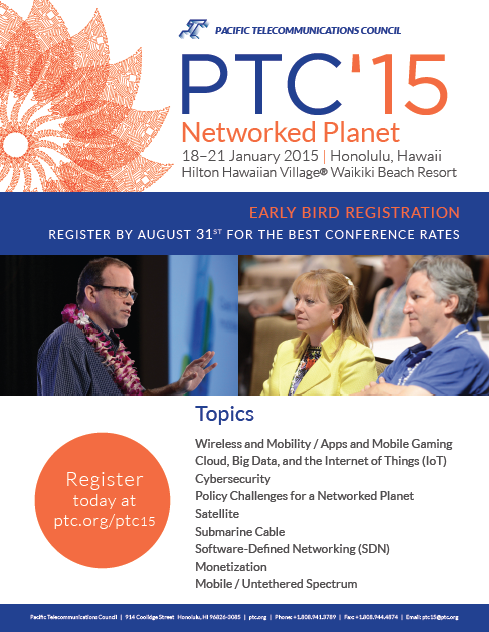 SSTL: Would the project have been possible without TechDemoSat-1?